South Korea has a vibrant gold sector comprising the widespread availability of physical investment gold through gold dealers and banks, as well as spot and futures trading on the country’s primary securities market platform, and in addition a number of internationally known refineries producing refined investment gold. Retail gold bars in South Korea are produced in a number of standard metric weight ranges such as 10g, 50g 100g, 500g and 1kg, but also in some seemingly unusual weights of 3.75 grams, 18.75 grams, 37.5 grams, 112.5 grams, 187.5 grams and 375 grams. However, these denominations make sense when expressed in the Tael weight system used widely in Asia where 1 Tael equals 37.5 grams. Therefore, 18.75g is 1/2 tael, 3.75g is 1/10 of a tael, 112.5g is 3 taels, 187.5g is equivalent to 5 taels etc. Gold prices in Korea are usually quoted in Korean Won (KRW) per gram, but often a range of quotes are published covering 24 karat gold, 18 karat gold, 14 karat gold etc. The Korean Won follows a floating exchange rate against the US Dollar, however, the Bank of Korea is known to intervene to keep the KRW within certain trading bands, for example between 1,100 to 1,200. If the exchange rate of KRW per USD is trading at 1,200, then one troy ounce of gold trading on the international market at $1,100, will be equivalent to KRW 1,320,000. Converting this troy ounce quote to grams (divide by 31.1035) yields a KRW per gram price of KRW 42,439 for 24 karat gold. This is why gold price quotes in KRW will invariably be big numbers if one is used to looking at USD gold price quotes. 2. How much gold is held in South Korea? How much gold is held in South Korea? In January 1998, authorities in South Korea estimated that the Korean public held approximately 2,000 tonnes of gold. This estimate was reported by State TV during the 1997/98 Asian financial crisis at the beginning of a rather unusual Government gold collection campaign that aimed to generate foreign exchange reserves by harnessing patriotic nationalism to de-possess the Korean public of their physical gold holdings at less than market prices and even through outright gold donations. The collected gold was then melted down by Korean refineries and sold on the international market with the proceeds going to the South Korean State. By March 1998, approximately 226 tonnes of gold had been collected from the public during this gold collection campaign. An AP news Archive video actually shows gold collected from this campaign being brought to the Korea Zinc refining for melting. Subtracting the gold given up in the Government’s gold campaign would leave approximately 1775 tonnes of gold in the hands of the South Korean public in Q2 1998. Fast forward to 2015, and industry estimated that the South Korean public held 800 tonnes of gold. Since most South Korean gold trading takes place via informal over the counter transactions in a decentralised marketplace, accurate estimates of the amount of gold held by the South Korean public will invariably difficult to make. What is certain is that physical gold is very popular as an investment in South Korea across both large and small wealth brackets, and that small denomination bars such as 37.5 gram bars, are also in heavy demand in addition to 1kg bars. Korea Exchange (KRX) was established in January 2005 via the amalgamation of four existing Korean financial markets, namely the Korea Futures Exchange (Kofex), Korea Stock Exchange (KSE), the KOSDAQ market and the KOSDAQ Committee. Korea Exchange is headquartered in Busan, South Korea’s second largest city and operates under Financial Investment Services and Capital Markets Act (FSCMA) legislation and is supervised by the Korean Financial Services Commission. Gold futures were first listed on the Kofex on 23rd April 1999, and were inherited on to the Korea Exchange platform in 2005 when Kofex became part of Korea Exchange. These futures were on a 1kg trading lot of 99.99% fine gold quoted in KRW per gram, and were physically deliverable. Korea Exchange then listed a cash-settled mini gold futures contract (100 grams) on 13th September 2010. This mini gold futures product was for 100 grams of 99.99% fine gold, quoted in KRW per gram. Except for a small burst of activity when it was launched in 1999, trading volume in the 1kg gold futures contract remained practically non-existent, and notably between 2010 and 2015, average daily trading volume in the 1kg contract was literally zero. Because of this lack of trading volume, the 1kg gold futures were then delisted on 26th October 2015. Trading volume in the mini gold futures contract (100 grams) fared slightly better, but since its launch in 2010, Mini-Gold average trading volume had barely registered more than a few hundred contracts per day. These trading volumes were politely referred to by the KRX as ‘lacklustre’. It was therefore not surprising that Korea Exchange felt the need to revise the design of its gold futures contracts. On 23rd November 2015, in a move that was intended to boost both the trading volumes of Korean gold futures and simultaneously support the country’s new spot gold market, Korea Exchange relaunched the mini gold futures and explicitly designated the KRX spot gold final closing price as the final settlement price for the mini-futures.. The KRX materially amended the contract specifications for the relaunched gold futures contract. South Korea’s first spot gold exchange was established in 2014 at the behest of the Korean Government. The Government’s push for the exchange was out of a desire to target what it perceived as opaque over-the-counter gold transactions in South Korea which, in the Government’s view, were not being monitored and most importantly, not being taxed. In 2013, the Korean Financial Services Commission estimated that 110 tonnes of gold were traded each year in South Korea, with up to 70 tonnes, or 63% or this figure, traded via what the Commission described as ‘illegal transactions’. Bringing transactions on to an exchange platform would allow more gold transactions to be taxed, and so undermine the economy’s widespread non-declaration of gold transactions. Naturally, the Government pitched other benefits of the exchange such as supporting Korea’s jewellery sector and aiding gold price discovery. 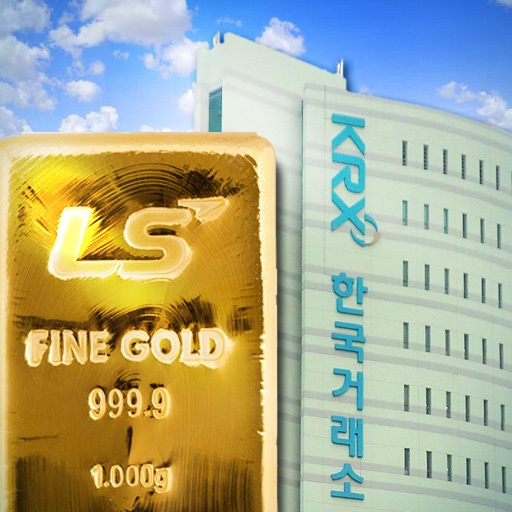 The Korea Exchange group (KRX) was chosen to actually run the gold exchange, and the KRX launched its gold spot market on 24th March 2014. The KRX gold spot market uses a trade settlement and custody platform created and managed by Korea Securities Depository (KSD). The KSD, also headquartered in Busan, is a publicly owned organisation that provides settlement, clearing and securities services to the Korean financial markets. Transactions on the KRX gold exchange are free of capital gains tax and also free of value-added tax (VAT) as long as the gold is not physically withdrawn from the Exchange. Gold withdrawn from the custody of the KSD is levied with a 10% VAT charge. Until 31 December 2015, designated importers of gold to be traded on the KRX gold exchange were exempt from . As of 20 March 2015, the KRX gold exchange had 69 member entities comprising 58 companies from the gold sector and 11 Korean securities firms. In its first year of operation, the Exchange had also registered activity from over 2,900 participating accounts. Trading volumes on the KRX gold market averaged a relatively 5.45 kgs per day between March and December 2014, and increased to 8.47 kgs per day between January – September 2015. Recent daily high trading volumes were recorded at 28.24 kgs on 16 December 2014, 25.884 kgs on 26 February 2015, and 27.756kgs on 20 July 2015. A new trading volume daily high of 46.448 kgs was recorded on 11 February 2016 . The cumulative amount of gold traded on the KRX spot market during its first year of operation from March 2014 to March 2015 totalled 1,472 kgs, worth KRW 63 billion. As of March 2015, the Exchange held a gold inventory of 1,068kg. This gold inventory is held in custody by the KSD. As of March 2015, a total of 120 kgs of the deposited gold had been physically withdrawn. According to the KRX, in its first year of operation gold sector companies accounted for 78.5% of selling activity, while individual buyers represented 90.7% of the buying activity. KRX also uses Korea Minting, Security Printing & ID Card Operating Corp. (KOMSCO) to certify quality standards of gold traded on the exchange. Trading hours on the KRX gold exchange run from 9am to 3pm. A one hour period from 8am to 9am uses a call auction process to solicit orders during which bids and offers are matched to determine an opening price. A similar 10-minute period from 2:50pm to 3pm is used to solicit orders to determine the exchange’s closing price. Other than that, the market consists of continuous trading between 9am and 2:50pm. The spot gold exchange also employs a trading process whereby physical orders from industrial users at the same price as other orders get priority in execution. On its website, Korea Exchange quotes a real-time spot gold price in USD per troy ounce, in KRW per gram, and in KRW per 3.75 grams (1/10 Tael). The US dollar price is the world spot price, and the KRW per gram price quoted on the website is just the US dollar spot price converted to KRW and from troy ounces to grams. This is not a price quotation of trades actually executed on the KRX spot market. Note that the KRX website was significantly revised in late 2015. The previous version of the website, and specifically the original pages which discussed the KRX gold market, can be viewed in an archive of the previous site. Many of South Korea’s wholesale and retail gold operations are clustered around the Jongno district in the centre of Seoul, South Korea’s capital city. Various industry bodies such as the Korea Jewellers Association represent the interests of the Korean gold trade. Some of the gold dealers have names which such as ‘exchange’ or ‘trading center’. These should not be confused with the KRX spot gold Exchange. Korea Gold Exchange 3M is a private precious metals wholesaler and distributor, founded in 2005, and located in Jongno-gu in Seoul. Its name in Korean is ‘한국금거래소쓰리엠’. To repeat, this company should not be confused with the spot gold market operated by Korea Exchange Inc.
Korea Gold Exchange 3M is South Korea’s largest gold merchant and supplies gold bars to Korean banks such as Hana Bank, Woori Bank and KB Kookmin. The company has two associated websites. An online shop of Korea Gold Exchange sells bars branded as ‘Korea Gold Exchange’ and also sells ‘LS Gold’, the small bars manufactured by the LS Nikko precious metals refinery. See LS Nikko below. Some of the unusual South Korean bar sizes, i.e. 3.75 grams, 18.75 grams, 37.5 grams (Tael, half Tael, and 1/10 Tael), can be seen on this website. Samsung Precious Metals Trading Center, established in 1945, is based in the Jongno area of Seoul and supplies precious metals to the domestic market. Samsung produces its own brand gold bars in a range of weights from 1kg down to 8.75 grams. Korea Minting, Security Printing, and ID Card Operating Corp (KOMSCO) is a Korean state-owned company that produces Korea’s national currency as well as a whole series of other currency and security products. Komsco also produces own branded gold bars, which can be seen on the company’s website. In 2013 and 2014, gold bar sales represented 20% of KOMSCO’s total sales. Korea Exchange Inc uses the services of KOMSCO to certify that gold traded on the Korea Exchange gold spot market and held by Korea Securities Depository meets the Exchange’s eligibility standards. Hwadong was established in 1972 and became part of the large Poongsan industrial and metals conglomerate in 2012, hence the name Poongsan Hwadong. Poongsan Hwadong manufactures coin blanks, banknotes and precious metal medals, and in the gold coin and bar market, Poongsan Hwadong is an authorised distributor for Perth Mint and Royal Canadian Mint products, as well as supplying gold bars from brands such as PAMP and KOMSCO. Korea Gold Trading Center, established in 2001, is a Seoul based importer and distributor of physical gold, and also operates as a futures commission merchant (FCM) on Korea Exchange brokering derivatives products. LS Nikko Copper Inc is currently the only South Korean refinery on the LBMA Good Delivery List for gold. The group’s refinery is located in the Onsan area of the port city of Ulsan on the south-east side of the country. LS Nikko is owned by Korean LS Holdings group and J Nippon Mining and Metals which was formerly called Nikko Metals, hence the name LS Nikko. The LS Nikko refinery predominantly refines copper but also gold and silver as by-products of its refining processes. The refinery has production capacity for 60 tonnes of gold per year and produces 99.99% fine gold in the form of 12.5kg and 1 kg bars for the wholesale market, and 1kg, 100 gram and 10 gram bars for the retail market. . In 2012, LS Nikko began production of its retail gold bar offering called the ‘LS Gold Bar’. This was the first retail gold bar product set in the company’s history. Another well-known Korean refinery which produces precious metals, Korea Zinc Co Ltd (also located in Osnan), used to be on the LBMA good delivery list but was transferred to the ‘former list’ in November 2009. Korea Zinc is still on the LBMA’s current Good Delivery List for silver. However, the Korea Zinc refinery still produces gold . The Bank of Korea, South Korea’s central bank, holds 104.4 tonnes of gold in its official foreign reserve assets. This entire stock of gold is held under the custody of the Bank of England in London. See BullionStar blog “Central bank gold at the Bank of England“. In 2011, the Bank of Korea only held 14.4 tonnes of gold but then reported purchases of 90 tonnes over the 2011-2012 period, which brought its holdings up to the current 104.4 tonne reported total by Q1 2013. Since South Korea holds huge foreign exchange reserves, the market value of its gold reserves as a percentage of total foreign reserves is only in the region of 1%. While the true magnitude of South Korea’s private gold hoards may be subject to debate, it is clear is that the South Korean economy supports a sizeable physical OTC gold market, otherwise the South Korean Government would not have been so eager to launch a formal gold exchange. The existence of a wide array of private gold distributors and wholesalers also attests to a thriving OTC gold sector. But like many gold futures contracts launched on Asian exchanges, Korea Exchange’s gold futures have not met with much successful, however, the new spot contract has gained some traction since launch. But the relatively low daily trading volume on the spot exchange, in the tens of kilos, suggests that the Korean public are continuing to conduct their sizeable gold transactions with discretion and away from the recorded formality of an exchange.